Definition at line 114 of file CCopasiTask.h. Definition at line 397 of file CCopasiTask.cpp. Definition at line 401 of file CCopasiTask.cpp. Definition at line 406 of file CCopasiTask.cpp. 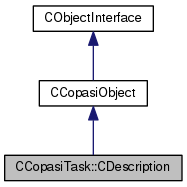 Definition at line 408 of file CCopasiTask.cpp.